As a respectable firm, headquartered in Delhi(India), we are making available top-of-the-line quality products in the market. Offered by us in several specifications, our products are in complete compliance with the quality standards. Excellent lubrication under conditions of high temperature prolonged our door exposure and high load. 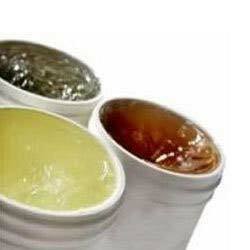 The grease is squeeze resistant, drip resistant and throw resistant due to its adhesive nature. Intended uses : Additive, mechanical, electrical and electronic industries. Applications : Lubrication of locks, hinges, ball and socket joints, chain links, bushes, bearings, pins and similar components, which require dismantling for lubrication.